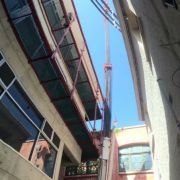 Our big crane lifting our lil crane! 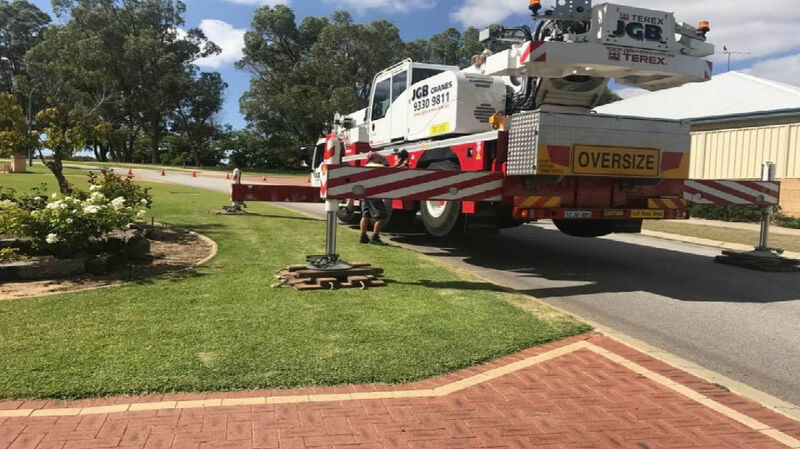 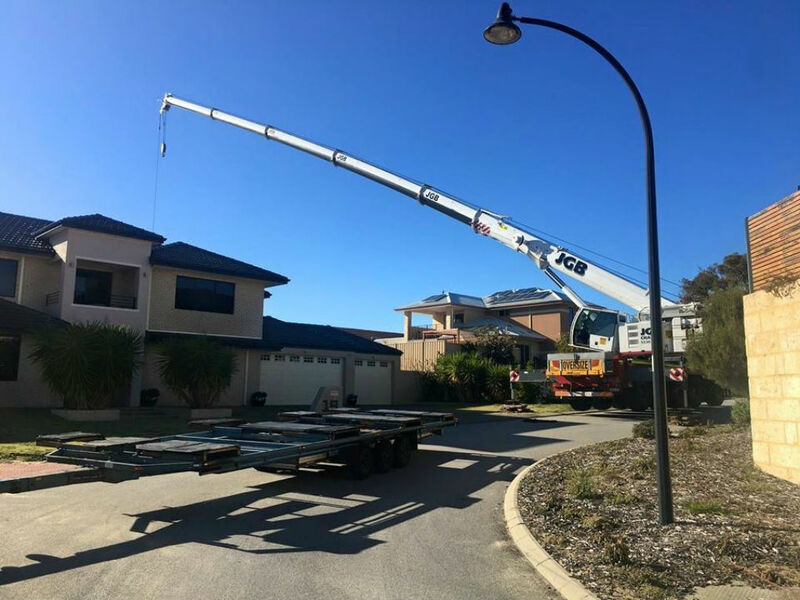 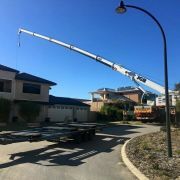 Our Liebherr with fly jib lifting over power lines to install a pool into our clients backyard. 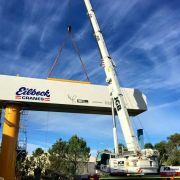 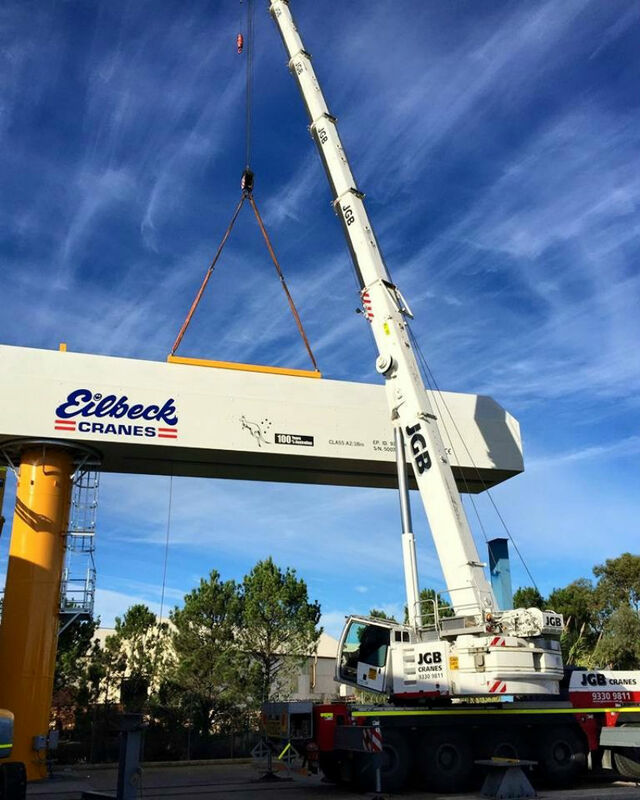 Here we are assisting in the construction of an Eilbeck Pedestal Crane which was transported to a gas plant in Siberia! 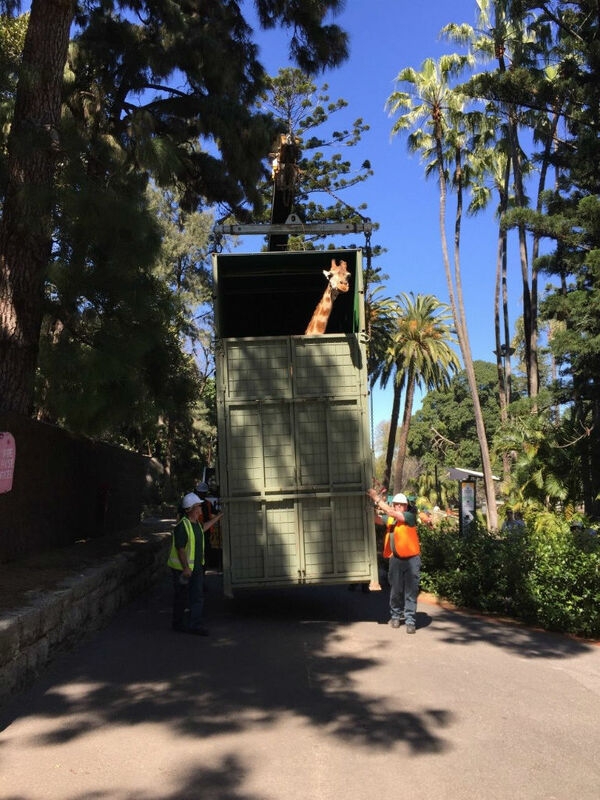 JGB assisted Perth Zoo in the transportation of a giraffe 2200km's across the Nullabor plain to SA. 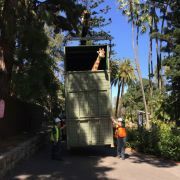 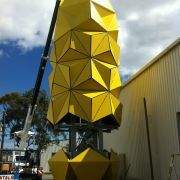 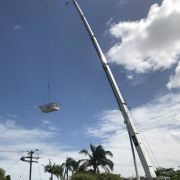 Our 25t Franna lifted the Giraffes crate onto a truck who then made the long journey. 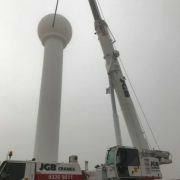 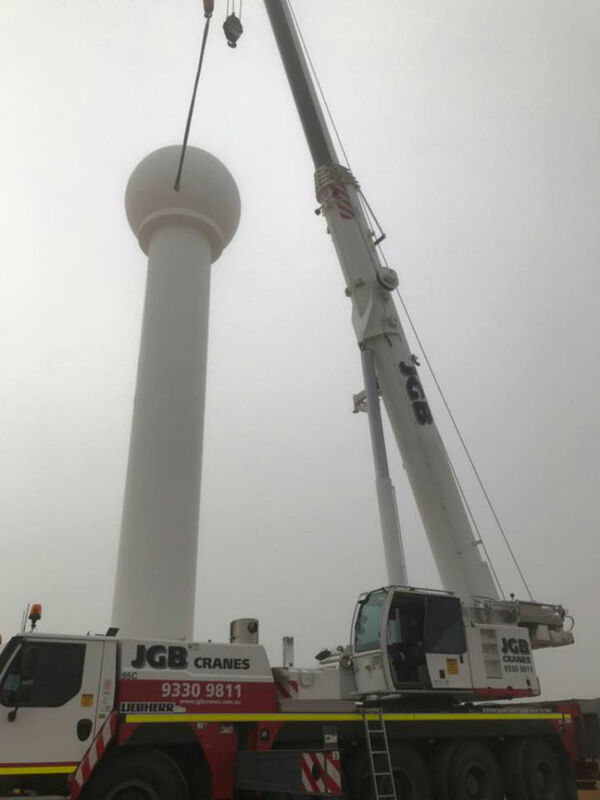 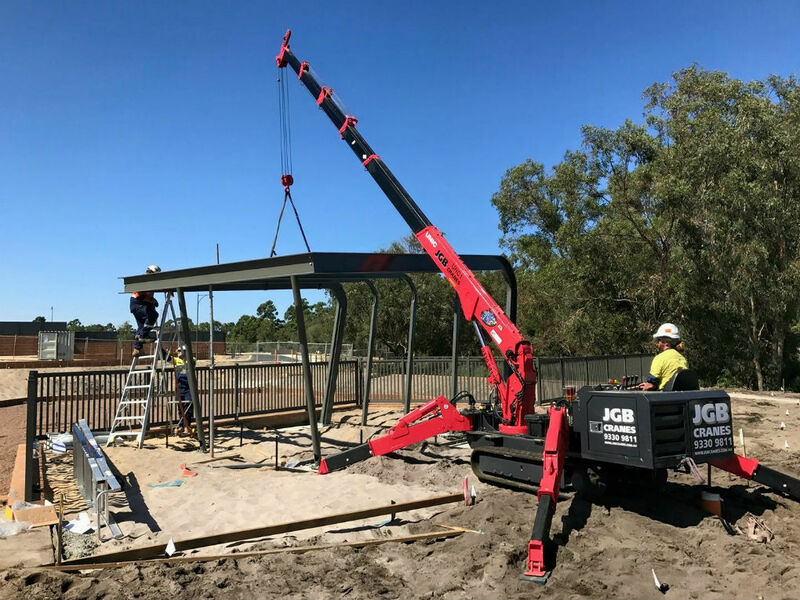 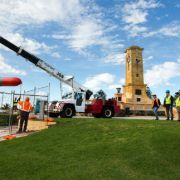 95t Liebherr in Watheroo, WA assembling a weather station. 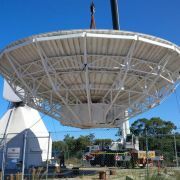 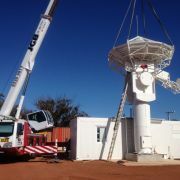 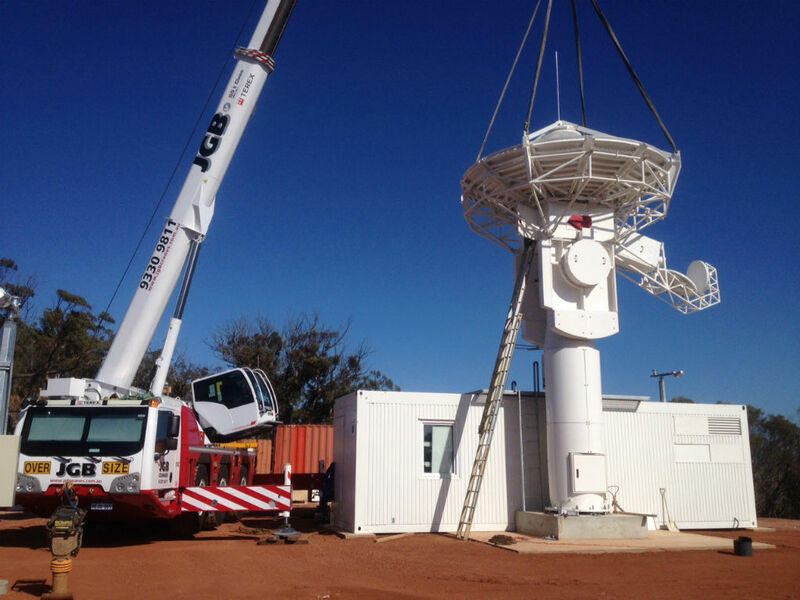 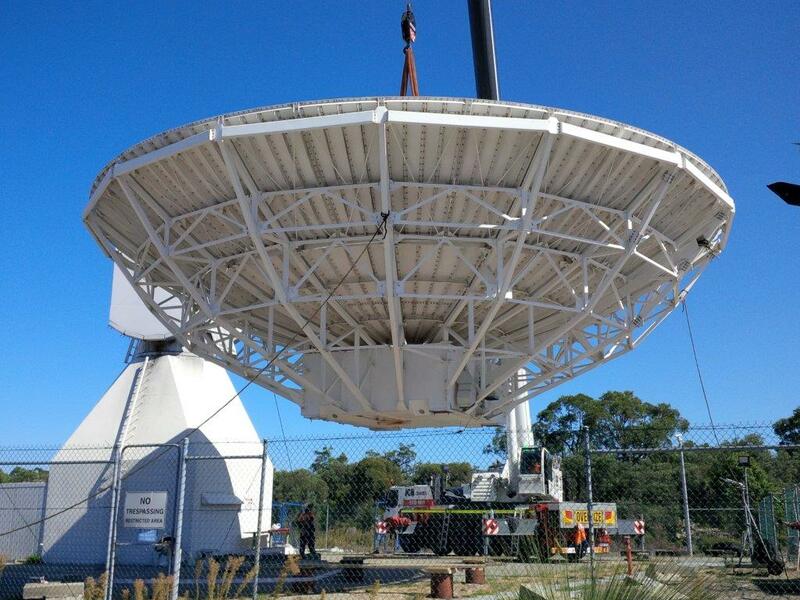 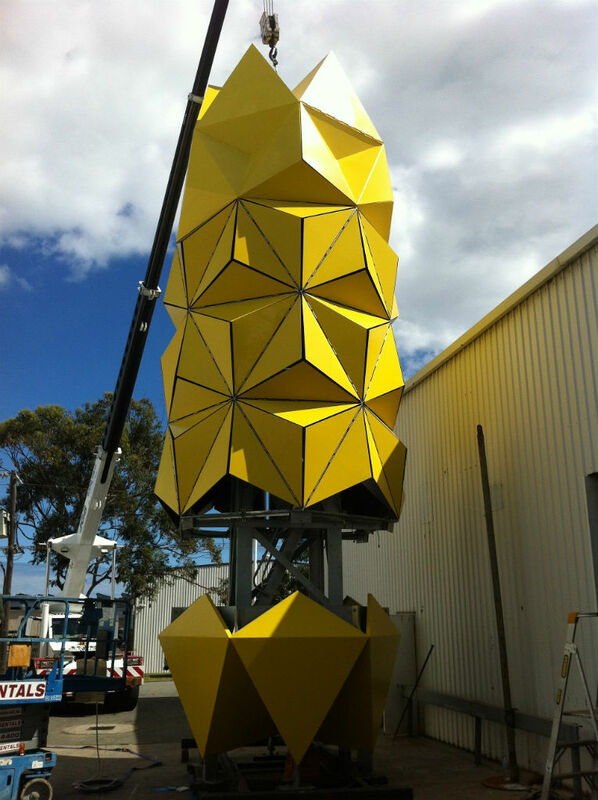 Our 55t crane assembling a Satelite tracking dish. 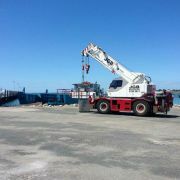 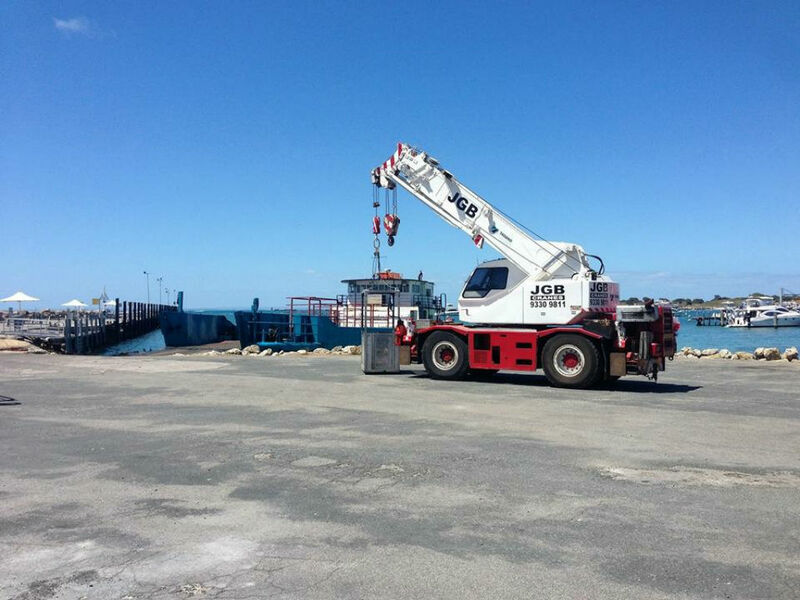 Our 16t crane hopped on a ferry and took a trip to Rottnest to do some man cage work. 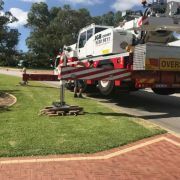 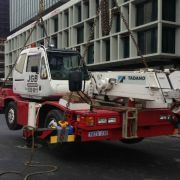 JGB often assists Lightning Towing in car recoveries. 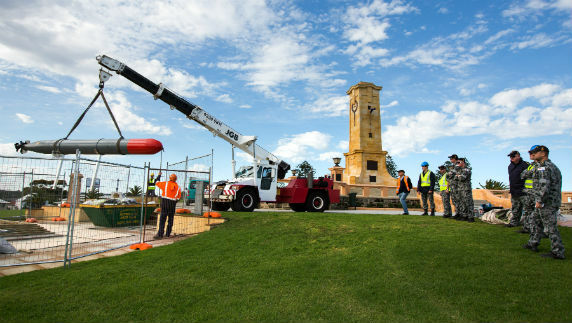 Here our Franna is lifting a ship Torpedo in Fremantle. 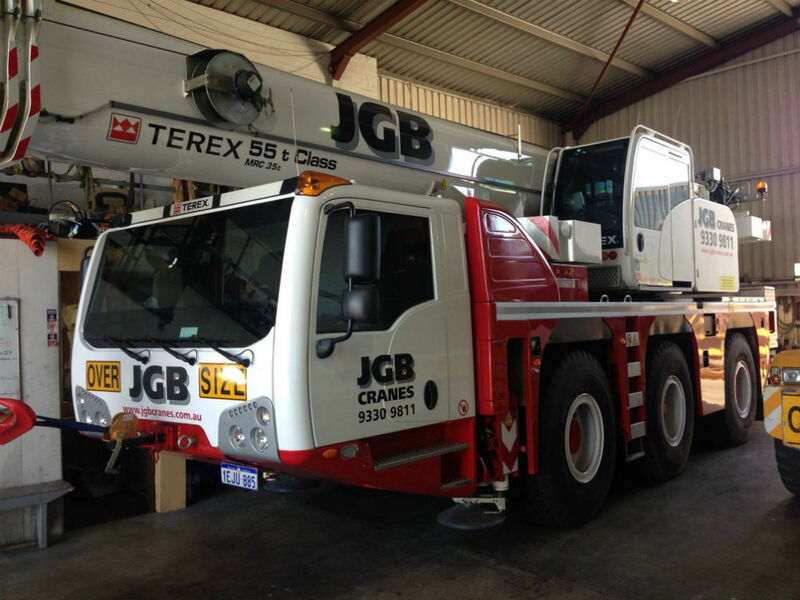 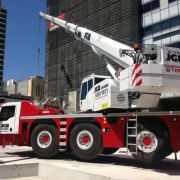 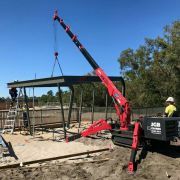 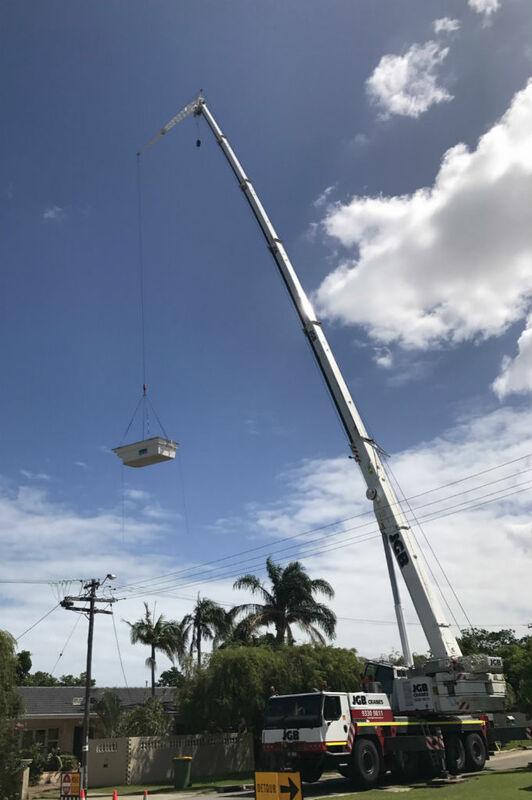 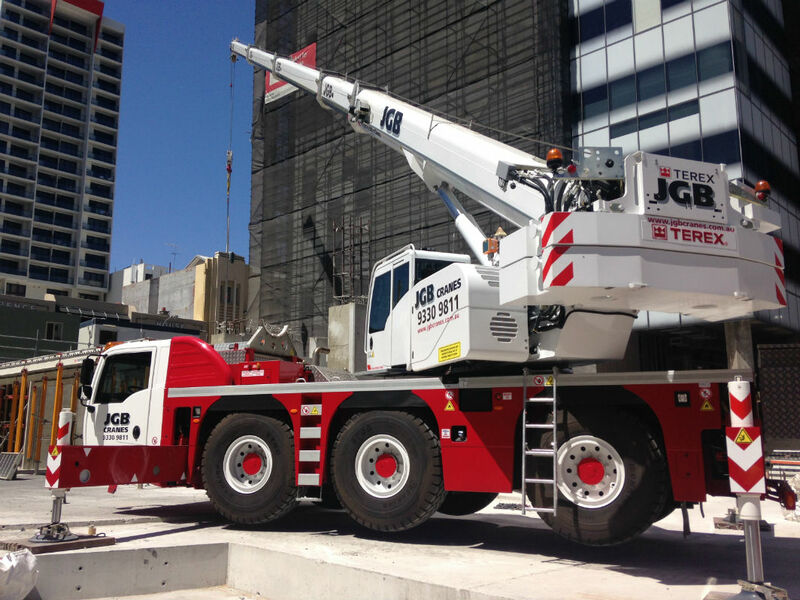 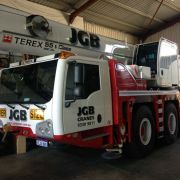 No site space is too small for JGB Cranes. 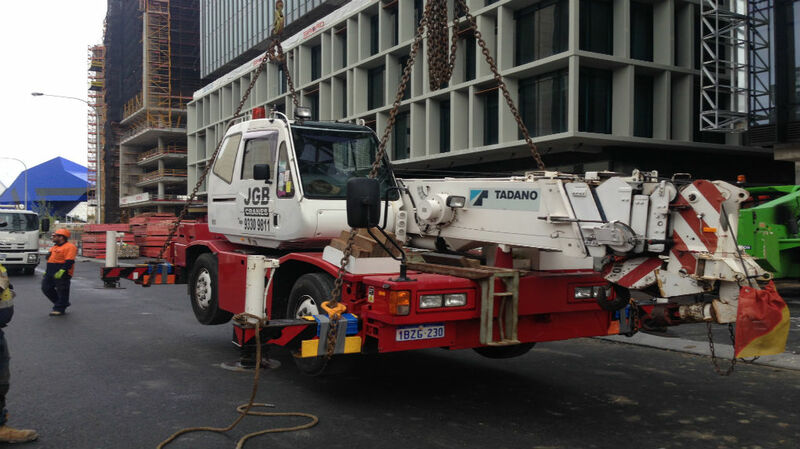 We tailor our service to suite your lifting requirements.